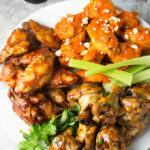 Instant Pot Chicken Wings 3 Ways are so easy, delicious, and don’t take long at all! With Football Season gearing up, I thought it would be fun to share these pressure cooker chicken wings, which are perfect for Game Day! Chicken wings these days are a lot different than what my mom cooked up. She was all about fried chicken, and let me tell you, hers was the best! She loved the wings, and I loved the drumsticks! 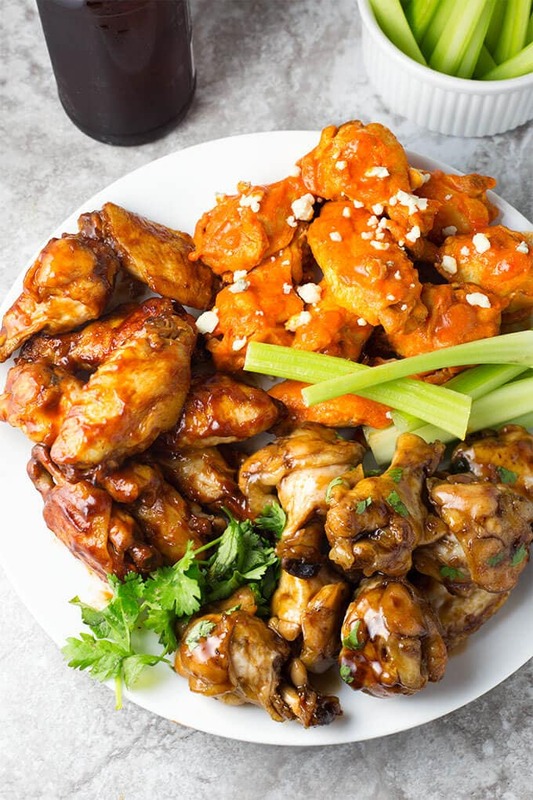 These days wings have become so elevated, and you have probably even visited one of those restaurants that specializes in different flavored chicken wings. I sure have! We took the family to a place in Kirkland, WA, a city near me (also the namesake of Costco’s family of products). The boys decided it would be fun to see who could eat the hottest wing. Bryen, being the youngest, wanted to see if he could play with the big boys. So they ordered wings in varying degrees (pun intended) of heat. They ranged from 1 star to 7 stars. So guess who ordered a 7 star? Bryen did! As his mom I was concerned, but let him do it. I’m maybe a bit of a sadist. No, just kidding! I laugh every time I think about that day. Poor Bryen. He was sweating from every pore on his body! He had tears rolling down his face and his breath was hitching! Hahahaha, it was hysterical! We were all laughing at him, but there was an admiration too. He ate that thing, drank a gallon of milk, and showed us all! He even got his picture up on their board of champs! He earned more respect from his older brothers that day. Boys. By the way, it may sound mean because we were laughing, but it was all in good fun. Bryen was actually having a great time. Again, Boys! Aside from the theatrical HOT wings like that, we enjoy having different flavors of chicken wings at parties, and definitely on game days! Thank goodness for my Instant Pot, as it is fast and I can make a few pounds at a time, and keep them coming. I have 3 sauces that I like to make: Buffalo (of course! ), Teriyaki, and Barbecue (the easiest). 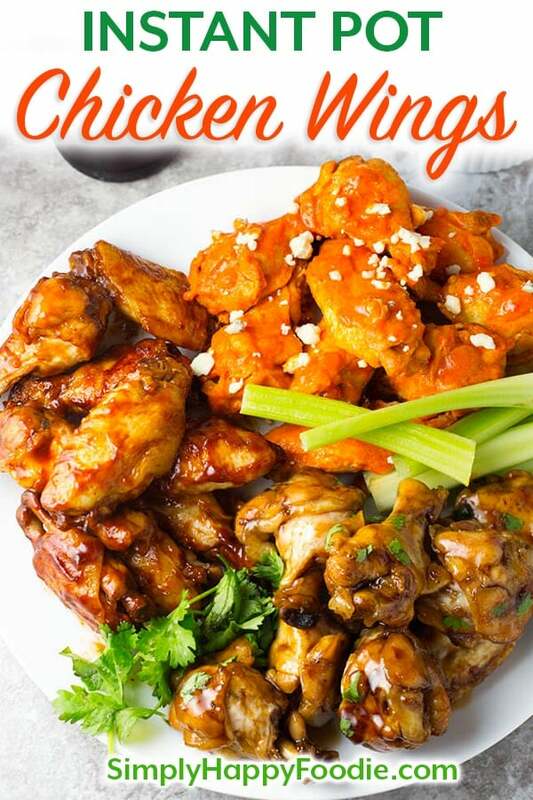 Than’s why I make Instant Pot Chicken Wings 3 Ways. If you don’t use an Instant Pot, you can make them in the oven, but I like making them this way. You have the option of broiling them after they cook in the Instant Pot if I want to caramelize the sauce and crisp them up, and sometimes I do. Usually I don’t bother. 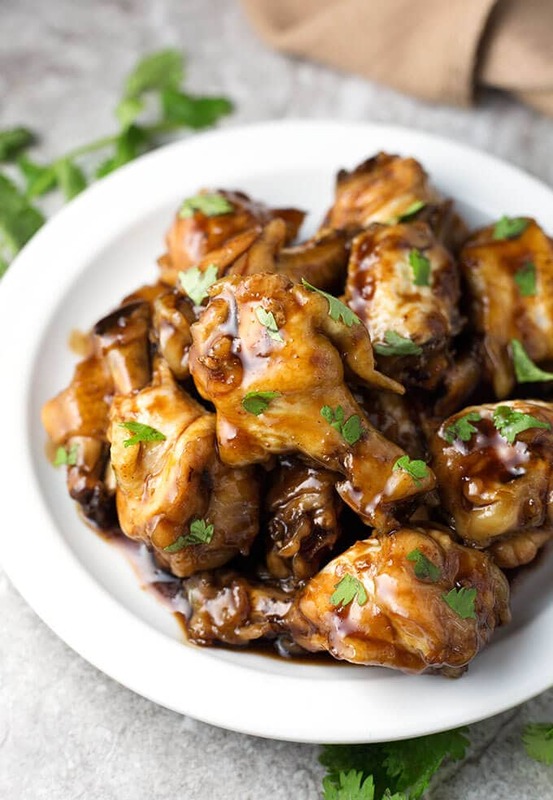 Instant Pot Buffalo Wings, Teriyaki Wings, and Barbecue Wings. Add 1 cup of water to the inner liner of the Instant Pot. Put the wing pieces in a steamer basket, vertically, and set on the trivet/rack in the Instant Pot. Press the Pressure Cook (or Manual) button or dial, then the +/- button to select 5 minutes (if your wings are whole, do 8 minutes). After cooking cycle ends, let Naturally Release the steam for 7 minutes. Then manually release the remaining steam. Open the lid after the pin drops and it is safe to do so. Spread the wings on a baking sheet and let air dry for a few minutes. 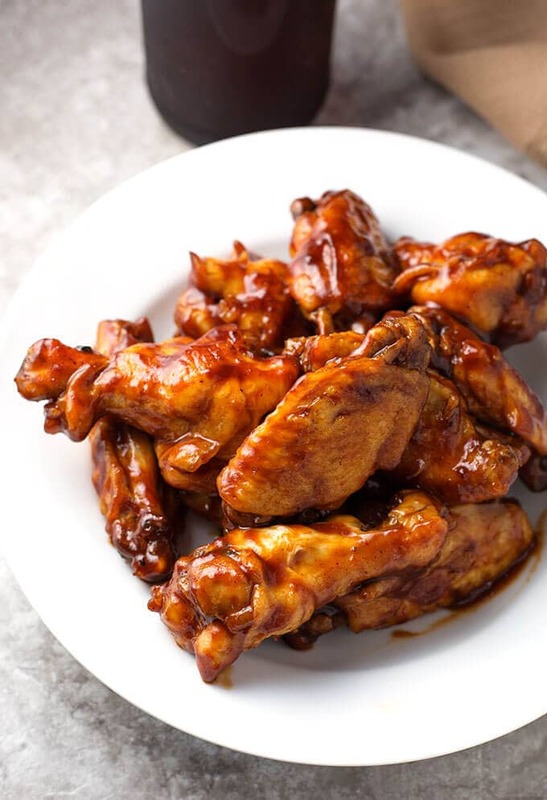 Add the sauce ingredients for the flavor you are making into a bowl, and whisk well (if making barbecue wings, just put the barbecue sauce into the bowl). Add the wings to the bowl and stir them around to coat with the sauce. You can serve them at this point, but they are even better if you broil them in a 400 degree oven for 5 minutes per side. PLEASE!!! Keep those MIni Instant Pot recipes coming! I just ordered an Instant pot 3 qt. Hi Mary! I will! Working on some next week. Stay tuned! can you use a regular old metal steam basket in the pressure cooker? Yes you can. Whatever works! Can you use frozen wings or should I thaw them first? 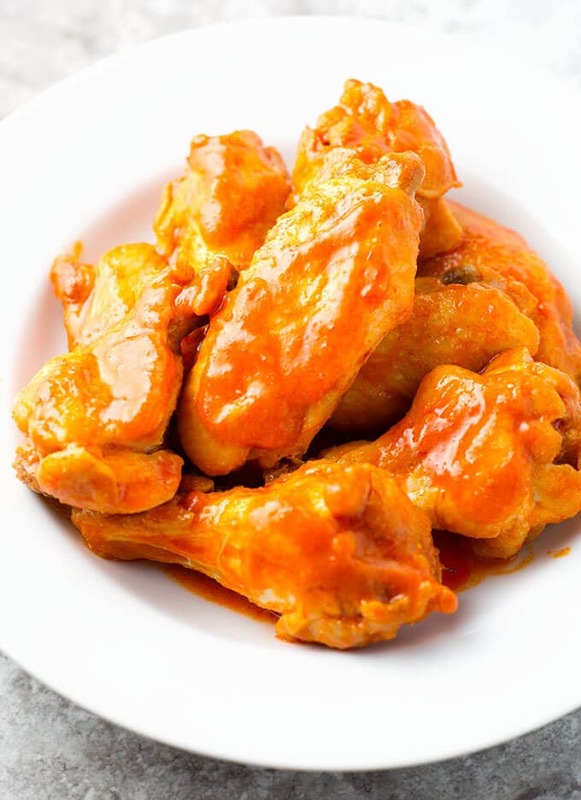 If you use frozen wings, just add 2 minutes to the cook time. Does it matter if I pile the wings in the pot? Like can they be touching? What I do is stand them up on their ends, and there is room for lots more that way! I made the buffalo wings and they we’re a huge hit! I’m going to make them for my super bowl party.